It seems like every time a new device comes out, there’s always one that comes back to the factory with a little bit of a burn mark on it. 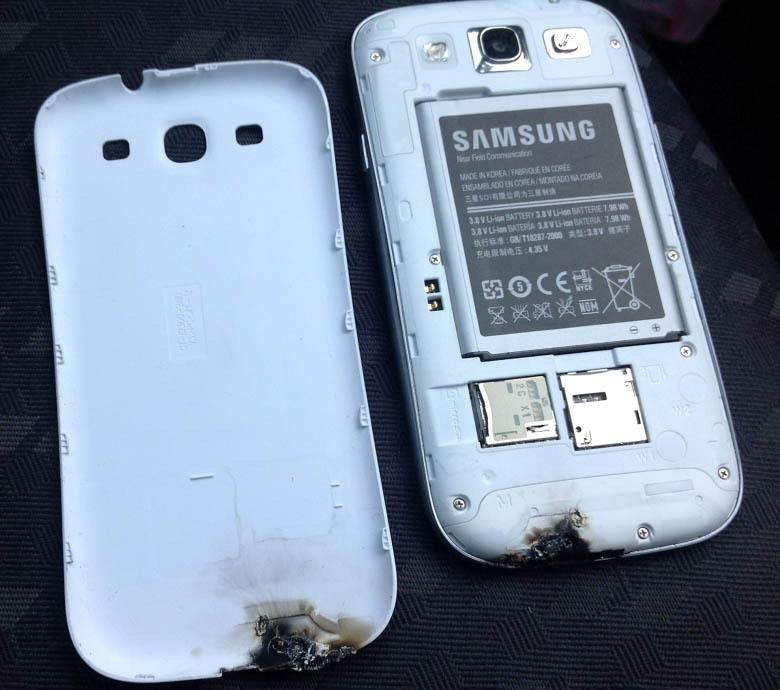 The Galaxy SIII is not just the hottest phone that everyone is talking about right now, but one recently got a little too warm for one customer and ended up melting. Samsung is aware of this issue and will begin investigating as soon as we receive the specific product in question. Once the investigation is complete, we will be able to provide further details on the situation. We are committed to providing our customers with the safest products possible and are looking at this seriously. Let’s hope that Samsung finds out what caused this soon to fix anything if it needs fixing.